Anne Dalton was born in Hastings, and at an early age she moved to Canada with her family. Anne presently resides in Toronto where she has been painting professionally for the past twenty years after studying art at Central Technical School, Toronto, La Scoula Di Belle Arte in Monopoli,Italy and York University, Toronto,Canada. 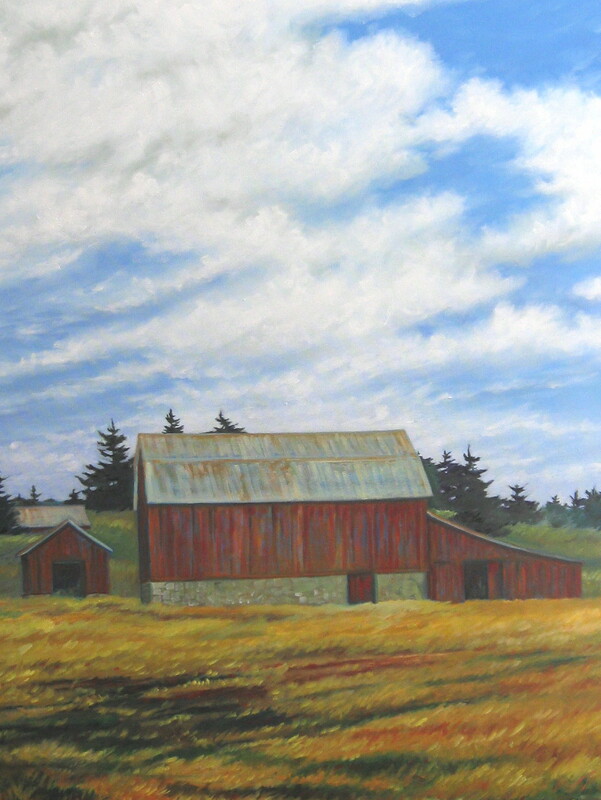 She was accepted into the oldest art society in Canada, The Ontario Society of Artists, in 1988 and her watercolor and acrylic paintings have been included in scores of private and prominent corporate collections throughout North America. In the past, Anne has worked as a freelance illustrator and as an art instructor for Sheridan College and George Brown College, Toronto,Canada. Anne has had over fifteen solo exhibitions over the past twenty years and she is represented by art galleries in Toronto,Canada and art consultants in Philadelphia in the U.S.A.
Anne travels throughout North America on sketching trips as inspiration for her landscapes. When she returns to her studio she refers to her pencil sketches and memory to work up her ideas. Her paintings are developed by using a layering technique called "glazing" which is a lengthy process that allows her to pay meticulous attention to detail. Anne's work is quite unique, in that many viewers have commented how her scenes remind them of where they have been or what they have experienced at a certain period in their lives. Her favorite sketching locations are Ontario, Quebec, British Columbia, Nova Scotia, Cape Cod, Vermont and Maine. Anne's most recent sketching trip this summer was in Quebec. Occasionally, Anne works with "still-life themes", particularly in watercolors. The still-life is a natural extension of her work where her collected objects are juxtaposed with botanical themes. To view Anne's paintings, please visit her galleries for paintings on canvas or watercolours. © Anne Dalton, B.A., O.S.A. All images copyright of the artist. No images or text may be saved, transferred or stored on any electronic retrieval system or device without the consent of the artist in writing.